In the beginning, there was a proposed bill that would allow Bible courses to be taught in Kentucky’s public schools. Now that Gov. 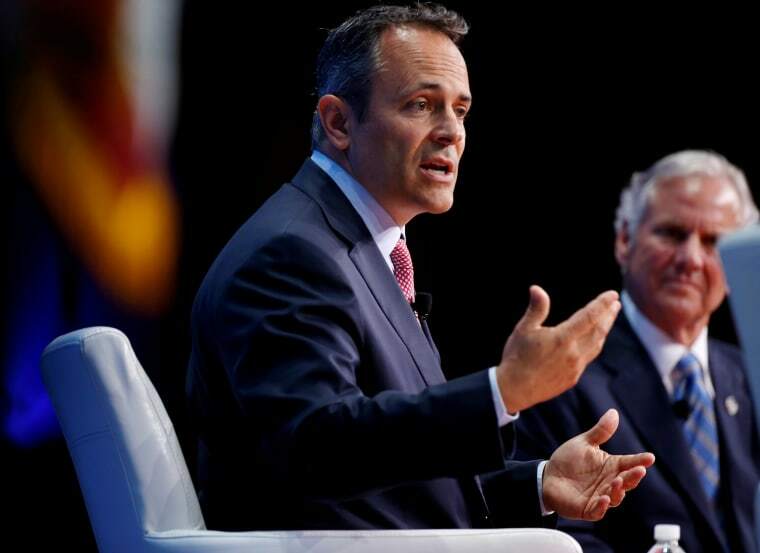 Matt Bevin has signed the so-called "Bible Literacy Bill" into law, the ACLU and other watchdog groups say they are going to make sure the classes don’t cross the constitutional line from teaching to preaching. It is also an elective, not a required course. While the state teachers union, the Kentucky Education Association, has not yet weighed in on the new law, groups that want to keep church and state separate like the Kentucky Secular Society, have opposed it. The bill, which goes into effect on Thursday, was co-sponsored by Republican State Rep. D.J. Johnson, who did not immediately respond to an email from NBC News seeking comment. But in an earlier interview with the Louisville Courier-Journal, Johnson insisted the purpose of the bill was not to promote Christianity. “Where you believe that it’s the word of God or you think it’s complete fiction, you can’t deny the impact it’s had on our culture,” Johnson said of the Bible. Bevin, a Republican and conservative Christian who has waged a campaign to drive abortion providers out of the state, signed the bill on Tuesday at the Capitol Rotunda in Frankfort in a ceremony that opened with a prayer. Even before this ball was passed, the Bible already had a place in the state's public schools. "The Bible could be used by schools within certain parameters and some schools did offer Bible as Literature electives," Nancy Rodriguez of the Kentucky Department of Education said in an email. "Excerpts from the Bible may be read in the context of a world history or literature course and the tenets of various religions may be covered in a survey of religion as long as there is no “establishment” of a particular religion by the school," the DOE advised. "There is a very fine line between a Bible as literature class (or other exclusive religious elective) that meets the constitutional requirements and one that does not," the guidance said, "For example, public schools may not use the Bible as literature elective as a way to promote religious beliefs." Kentucky is a deeply religious and conservative state and Christianity remains the dominant religion there — as it is in the rest of U.S. But as of 2015 there were 3.3 million Muslims in the country and Islam was on pace to pass Judaism as the second-largest faith in the country, the Pew Research Center has reported. Some 76 percent of Kentucky residents are Christian and 49 percent of those are Evangelical Protestants, according to Pew. The next biggest group was the 22 percent who declared "no religion" at all. CORRECTION (June 28, 2017, 5:50 p.m.): An earlier version of this article misstated the number of Muslims in the United States. There are 3.3 million, not 3.3.